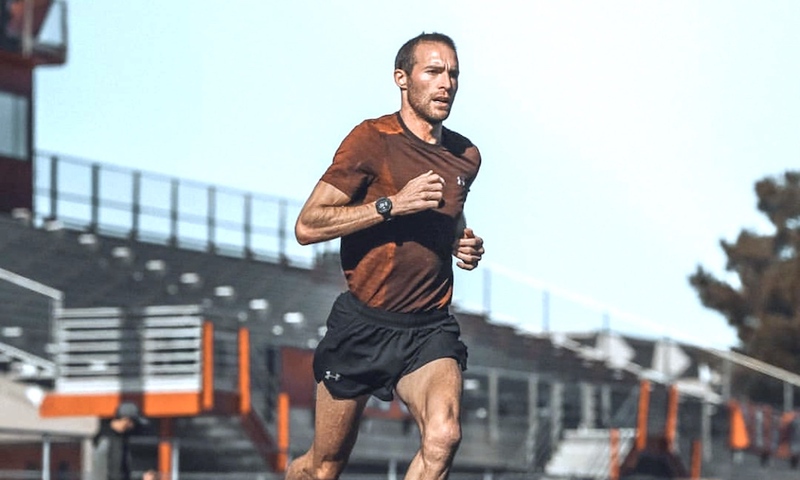 Stephen Scullion reflects on his experiences to highlight why you should embrace the good and bad moments during your own running journey. 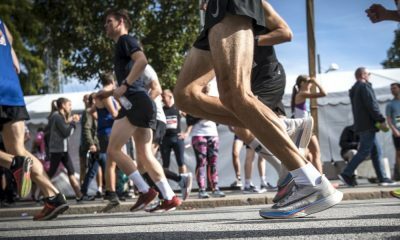 ‘Process over outcome’ reads like something out of a statistics textbook or a research paper, but I promise this blog is linked to running, and your running. If I can grab your attention long enough to read this post, I hope in return you learn something about yourself. And if I can grab your attention for the entire year, then perhaps you will learn enough about yourself, and your running, that these blogs might make a difference. I will share my own experiences, lessons I’ve learnt, and mistakes I’ve made, in the hope that at the end of my ramblings you’ll find more joy in your running, more consistency in your training, and whether or not your results improve it won’t matter, because you’ll find invincibility. The kind of feeling that will remove all the negative bull sh*t, that might be holding you back. My name is Stephen Scullion and you probably already know enough about me. Not because of my fabulous running CV, the more likely reason is that I like to TALK, A LOT – and as a result share far too much all the time. You may or may not like this about me, and you may or may not have to like me, but I am only human. Perhaps at some point in the past I made decisions or choices that upset you, but if I’ve learnt anything from my experiences over the last three to four years, it is that life passes by far too fast, and experiences come and go before we know it. So let me be the first to apologise to anybody in my past that I have upset. There will be plenty, and maybe if you’re reading this and know you should do the same to others… why not do that!? It may be a cheesy line… BUT life really is way too short. 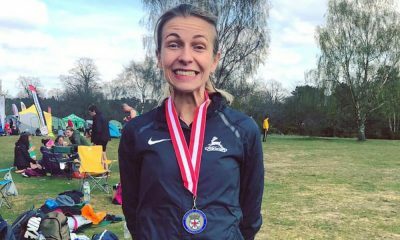 Going off topic a little there, but at the end of the day, it shouldn’t matter what you think about me, if you share my passion for running, then this blog will probably be of interest to you. I love running, I mean really love it! 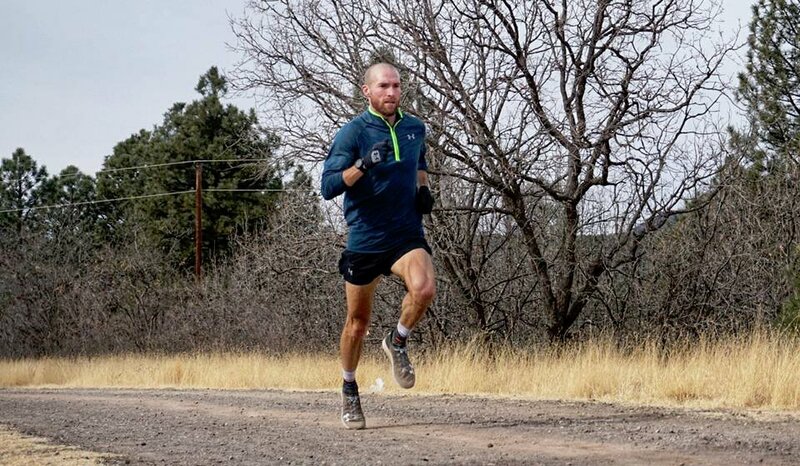 It wasn’t always the case, or maybe it kind of was, but my emotions and decisions outside of the ‘running portion of my day’ didn’t allow me to fully love running as much as I do now. I said on my podcast that it wouldn’t bother me if I ran like a ‘big bag of poop’ at the Houston Marathon. I would still put on my recovery tights, drink my recovery drink, and move on to the next goal. You might find it hard to believe, but that’s the truth. I’m in such a good place with my life, and running career it wouldn’t have derailed me like it might have done in the past. So the above wasn’t a complete lot of nonsense. 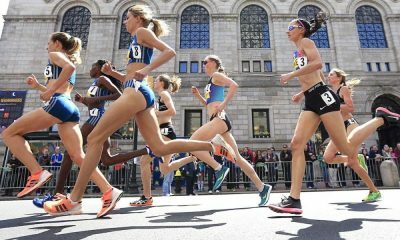 I am sure you agree that life passes by very fast, so why then do runners insist on being so hard on ourselves, and take running so personal all the time? My life’s not perfect, it’s far from it, I have money problems, I depend on lots of people to keep my dreams alive, but I’ve found ‘the thing’ I love to do more than anything in the world, and I’ve learnt to enjoy the process of being the best athlete, and person I can possibly be. Both seem to be working hand in hand, and my results seem to be improving consistently because of that. 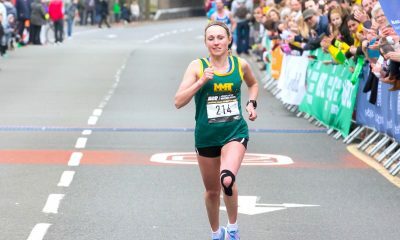 In 2016, I tore my quad 10 days before the London Marathon. I can tell you, with absolute certainty, that still to this day it was the fittest I’ve ever been, but the build-up was reckless, both in terms of execution and in terms of being a very aggressive program. I was an athlete who had never run over 100 miles a week, to then averaging 120 for about 10 weeks in a row. As I said, it was aggressive, and with 10 days to go, I tore my quad. I started and finished the race with a quad tear, hobbled to the elite tent after and cried my eyes out, then quit running! I text Nic Bideau, my coach at the time, telling him I was retiring… and I followed through with it at the time. The 2016 version of Stephen Scullion, was a very emotional man, and I wasn’t in control of myself at all. I can honestly say I’m a much better version of myself now, and happier version of myself. If you want to know more about the emotional breakdowns I’ve had over the years – and there’s been plenty – listen to my podcast ‘Through hell and back’. The podcasts I record are a bit of fun, but in my blogs, I want to simply share experiences I’ve had, and perhaps in doing so, it will make you think about your own experiences, and learn from both. It’s not about marketing myself, I’m not planning on telling you the amazing sessions I do, or how great I did in a race. I hope my articles on Fast Running will act as a storytelling blog, with lots of advice and tips along the way. It will be difficult for me to delve into my stories as I do on the podcast, probably because I can’t swear and because I’m not the most amazing writer in the world. But I promise I’ll try (and I’ll proofread too… not something I care to do very much). Process over outcome and more specifically learning to love the process over the outcome. For far too long the only part of running I ever REALLY focused on was the outcome, what will it mean when I run 2:14, make the Olympics, the tracksuit, the tattoo, the contract, the women chasing me, the fame and Instagram followers. These are all the things that I don’t even think about now, but for a long time, that was the only part of running I thought about or really cared for. There’s nothing wrong with enjoying or being motivated by the rewards of running well, BUT, if you trip at the first hurdle because you can’t deal with having a bad tempo, or race, then focusing on the rewards was a waste. Learn to love the process, then learn to love the rewards. They can be pretty great! I have learnt to love the process of achieving those very things that I used to care far too much about. Learning to love the process takes practice, and it means you have to love it all, the good days (easy), the bad days (very tough), winning races (fun), and losing races (awful). Changing from an athlete that used to retire four times a year, and learning to love thing like ‘losing’ was hard for me. But if you think of running logically, we train to get better, and the only way to test if the training has worked, is racing. Some people love racing, others hate it. I used to be a mixture of the two, but I took races super super personal, and I don’t think that’s the right attitude. Think of it logically, most races are testing if training is working, some races have more importance than others (trials, championships, etc. ), but actually, it’s the same logical principles. You are testing all the training and dedication over a period of time and seeing if it helped you achieve your goals or not. When the race is over, you either achieved your goals and celebrate or you didn’t achieve your goals and it’s back to the drawing board. Now I actually go to the drawing board after every race, whether I achieve my goals or not. Off topic and just a quick pointer, racing is not pass or fail. I love the line ‘win or learn’. Really buy into that, winning can be the top 10 and your goal is achieved, or placed 20th and learn from the experience to figure out what you need to do to in order to make the top 10 in future. It’s important for me, and I think it should be for you, to debrief, reflect and list what went well and what didn’t! That way you can learn something and you can go back to a logical standpoint. You figure out if recent training and dedication worked, and if it didn’t, what could you do differently? Figure out your limitations and then work out a way to improve them, it’s that simple. But it’s only simple when you’re willing to enjoy the process, and the most successful athletes I’ve seen at the elite level, are the most persistent. They don’t quit. That sounds obvious, but that’s because a bad day, isn’t the end of the world, it’s feedback that tells the athlete something didn’t go as planned. I’ve seen over 10 Olympians have poor sessions, but they still do their double run or weights that day, and they get over it quickly. Guess what, sometimes it’s not your fault, sometimes it’s just because we’re human, sometimes it’s weather, sometimes it’s a lack of specific training or health issues etc. We are so quick to jump on our own backs when a race or training doesn’t go well, but I think we need to stop doing that. Cut ourselves a little slack, drop the hardball act, and start thinking more logical about our approach to being better. Why is it so important to enjoy the process? How do you go about enjoying the process? There isn’t a simple answer, but the first stage I would suggest is patting yourself on the back right now for making it to your current level in running. Running and athletics is one of the most difficult sports, so congratulate yourself now and more often. The hard days, wet days, snow days, sore muscle days, windy days… do I need to go on? The investment, financially, emotionally, borrowed money, physio bills, training trips, race entry fees, Strava pro, equipment bills, blah blah blah… so for goodness sake, give yourself a little more credit, and be less harsh on yourself when things don’t go the way you imagined in your head. Learn to plan, and then learn to reflect on how the plan went, how could it go better next time, what logical reason is there for it being better? Are you going to add better training, smarter training, new training, more training, training with a group, training with a coach? Stick to the plan in the future, add in core work, add in better nutrition, then when things do go well, smile and stay calm. But when things go bad, reward yourself for not giving up, or reward yourself for being smart if you need a day off. Stop punishing yourself or spitting the dummy out of the pram, just take a step back and breathe. Laugh at how excited your brain (‘chimp’) was behaving and move on. I have a very interesting relationship with my own brain now, and often I need to take a step back and almost think “wow big guy, you need to relax”. Looking back at the 2017 Dublin Marathon, I had a stinker and raced emotionally which killed me and my body. For three miles I was thinking if I just collapsed on the road, surely the medics would just pick me up. I went from running 5:10 per mile, to 6.30-45 and I could barely lift my legs. Anyway, in the post-race tent the meet director was walking towards me, probably to ask how I was. I started to think about crying, and it was as if I going through the physical actions of a breakdown, but mid-breakdown, I decided to wise up, because I knew deep down that’s not me and to stop that nonsense. Afterwards, I was able to have a laugh about it. The emotional ‘chimp’ like behaviour is 100% part of me, and I can’t always control what it thinks, but I can absolutely choose whether or not I fuel that part of my brain. Most of the time I laugh or ignore it, and it tends to bugger off, and I can think logically again. At the Houston Marathon, I took a wrong turn, ran about 60 to 70 metres in the wrong direction before somebody jumped in front of me and yelled: “You’re going the wrong way.” Even though I did turn and stop too quickly, I handled the situation as smoothly as I could. I still find it amazing now, that I simply turned and rejoined the race course without a care in the world. It’s very simple, I’ve just found some kind of love for the process. Now, after I finish a race I don’t add up all the decisions I’ve made, the sacrifices and then weigh up was it worth it, or question if I should keep going in this sport. I know everything is part of the process and I’m just living my dream. If you can learn to love the worst parts of this sport, then you absolutely deserve and will get the best results you’ve ever dreamed of. 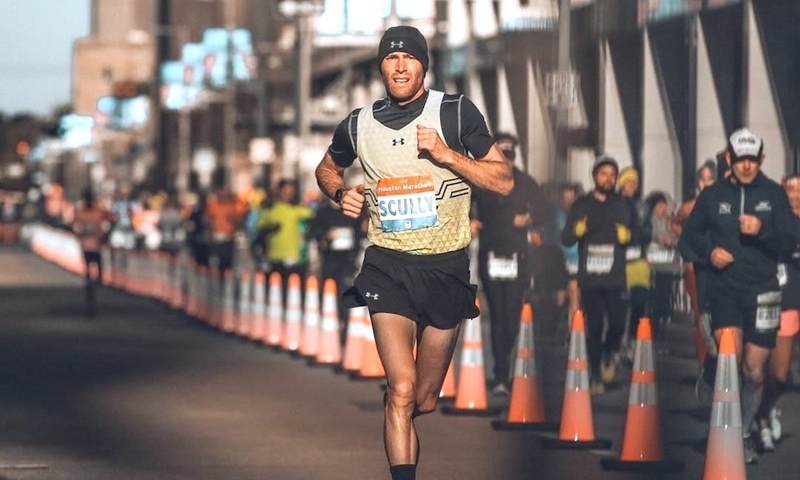 Stephen Scullion features in the ‘Fast 10: class of 2019’ and over the course of the year will share his running journey. You can follow Stephen on Twitter and Instagram, and you can check out his podcast here. Further information about the ‘class of 2019’ can be found here. How much faster does improving your running economy make you?